Known for his incredible feats in races against the clock (he won stages at all three Grand Tours and was a seven-time U.S. national time trial champion), Dave Zabriskie is also a philosophical jokester, a comic book lover, a father, and a husband. 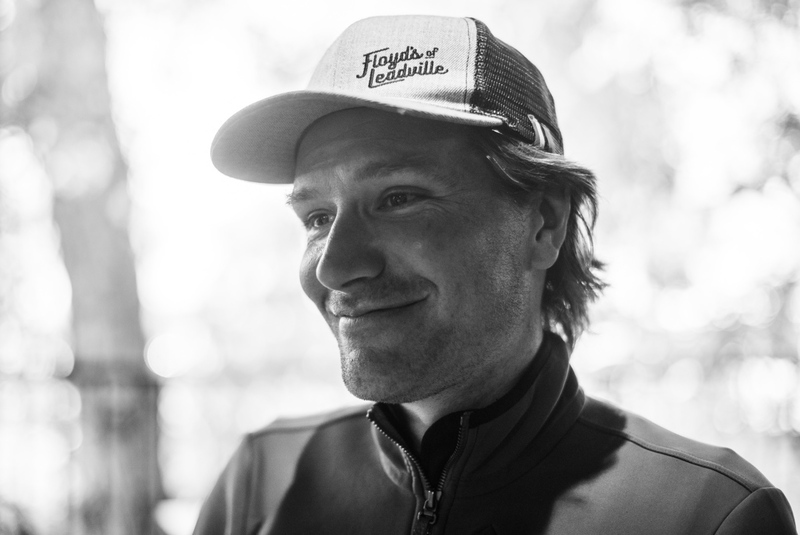 Since retiring, Zabriskie has kept himself busy with several business ventures including Floyd’s of Leadville with longtime friend Floyd Landis, and the recent announcement of the DZ Nuthouse, a gravel cycling camp in Calabasas, California. The retired pro loves riding the fire roads, gravel, and singletrack of the Santa Monica Mountains, but still finds himself drawn to the sleek lines and powerful position of his time trial bike. Enigmatic to many, Zabriskie is loving life now more than ever. RoadBikeReview recently sat down with Zabriskie to find out more about his life after racing. RoadBikeReview: From time trials to gravel. That’s an interesting transition. What is it about gravel that has captured your attention? Dave Zabriskie: Honestly, gravel is something I always gravitated towards, dirt roads and dirt riding. Just to be away from cars. I built up a Frankestein gravel bike before they existed and took it to Girona. It was a Niner with drop bars. It’s in Leadville now. Back then the equipment just wasn’t made for gravel, I installed a bar-end shifter on the drops to operate the front derailleur. Now they’re so dialed. It’s amazing that they built all this stuff just for this special category. And it’s guys like Burke Swindlehurst who made a difference. I remember when the Crusher in the Tushar first came out. He said, “This is the course, you pick your bike. Could be a road bike, cross bike, mountain bike.” But none of them really did the trick. Because of events like Burke’s, and so many people getting hit by cars, they’ve made these amazing gravel bikes. It’s awesome. I really think that the average bike consumer should be on gravel bikes instead of twitchy, carbon fiber road racing bikes. Gravel bikes can be very expensive and you can still hit a high price point with them if you want just like you can with high-end road race bikes, but they are just a little more comfortable and safer. Just the thick tires alone on the gravel bike helped me get over some issues. I had times when I crashed on my road bike when my wheel would get sucked into a crack. With gravel bikes you just aren’t even worried about that. That said, I enjoy riding a lot of different bikes. I have a Cervelo R5 road bike. Cervelo gave me a P5 for RAAM when I did that. It’s the tri version with the larger fork, so it isn’t UCI legal. And then they gave me a P5X. That took me a year to get going because the front end is so complicated. But now it’s ready to roll and I’ve been taking it on some laps around a nearby lake. It’s actually a fun bike. There’s something about that position where I’m so efficient. I broke through an old fitness wall that I hadn’t been able to break through in a while. But just being down like that got me all excited even though it took me a few days to recover, and I think I blasted my heart out. I also ride my mountain bike. I prefer it. But the 3T Exploro is my go-to bike. It can do just about anything. RBR: When did you retire from pro cycling? What are your thoughts looking back on your career? DZ: Mentally, 2003. Officially, 2013. I didn’t have a good time. I enjoyed the occasional race when I felt really good. Time trials I loved. I would always put out a solid effort there. But it’s a really hard sport to suffer through. In the end, I was trying to manage all the injuries that had taken their toll over time. If I get serious and decide to get back into shape, my Achilles will start to hurt…then my back…. I definitely need to follow a well-rounded fitness program. To be a bike racer, you gotta be putting in those huge miles and I just can’t. I broke my back in the Giro in 2008. Got hit by a car in 2003. Most of my crashes were catastrophic. I rarely had a crash where I could just get back up. And then the mental trauma. PTSD is a real thing and it’s not just for soldiers. I don’t suffer from it much anymore, but I used to avoid group rides or going to a fondo. I would get a real cramped feeling, and I had it in races as well. Everyone is gonna fall over and I’m gonna die. At Redlands, I woke up in a helicopter. I had some really traumatic crashes. It’s hard for me, because I do love bikes and I find myself passing it on to my children. I’ve taught them how to ride. We are at the point where my older one, he loves it. RBR: Where is home now? DZ: I’m living in California, in, let’s say, Thousand Oaks. That’s a lie (laughing). But in the L.A. area. RBR: How much do you ride? I try to get out while the kids are in school. It’s always nice to get a ride in, but it’s been an adjustment, lowering my time in the saddle. I’ll still get a big route in mind thinking of all the cool places I could go. But the rides actually gonna turn into two hours. ‘Oh, I think I’ll flip it.’ The more adjustment you make, let’s not call it ‘out of shape,’ the more calibrating you do, you get that same feeling you used to get with six hours is now at two hours. As you’re progressing as a professional athlete, it takes longer and longer to get those feelings. It’s kind of the opposite now. RBR: Any events you’re planning on? DZ: Not really. I might do the Dirty Kanza. It seems like fun and I’ll be there because Floyd’s of Leadville is a sponsor. RBR: Let’s talk Floyd’s of Leadville. Are you and Floyd stoners? DZ: No. We started Floyd’s three years ago to provide a much needed product that gives pain and muscle relief in an organic way with none of cannabis’ psychoactive compounds and none of the unwanted side effects of pharmaceuticals. It has proven to be an amazing product that people love and has provided incredible benefits not only to athletes but for people in all walks of life. Our latest exciting news is that we were recently approached by Gord Frasier to sponsor his cycling team. He had all the infrastructure in place and it seemed like a good fit. A lot of teams were going under and we thought it would be a great idea to do this and include the settlement money from Floyd’s whistleblower case against Lance Armstrong to give back to the sport. After all, it was really never about the money for Floyd, so he felt really good about using it to promote the sport itself. RBR: Is that an act of philanthropy? Or promotion? DZ: It’s a little of both. Helping keep the team alive not only helps this particular team but the sport at large. RBR: What are the benefits of CBD for athletes? sleeping better, have less anxiety, have less pain. The stories are incredible. Many of these people have told us they were living on Aleve and Advil until they realized the products were eating up their stomachs. They are realizing that CBD works better. They get the benefits without harmful side effects. We have gel capsules, tinctures (oil in a dropper), hydration mix, and recovery mix. And we’re just coming out with gummies. The gummies have 10 to 50-milligrams of CBD each and are going to be in a variety of flavors. RBR: What is the DZ Nuthouse? DZ: I took over a restaurant and renamed it. (The owner of Pedaler’s Fork sat nearby as he said this). I’m joking, but the DZ Nuthouse is something Ryan Steers and I put together. We’ve become really good buddies. Again, he’s a really positive person. That’s been another lesson, trying to hang out around the right people. But Ryan and I have done so many rides around here. We said to ourselves, ‘We gotta get more people here and show them how cool it is.’ Unfortunately, a lot of it burned down, but it’s still pretty nice. And we know Robbie, who owns this place. So he let us plug and play at Pedaler’s Fork. And then 3T gave us a demo fleet so that people don’t have to travel with a bike if they don’t want to. It’s a good setup. We’re doing 10 camps or more a year. RBR: You’re pretty philosophical. Do you think that helped or hurt you during your career? DZ: It was helpful for me, in terms of being alone a lot. I’m pretty good sitting in a dark room thinking. I can do it and I can go through a lot different levels. Sometimes it’s happy. Sometimes it’s sad. So you sit there and think through it. Or wait it out. But it’s all getting easier for me. The more I’m on a schedule, the better. But if things change, I can handle that too. If I have to stay up late tonight, I’m not gonna stress about that. I’ll still wake up at six. I actually draw a lot of inspiration from firemen. I’ve become really close friends with a local firefighter, Jack Nosco. He has a big ride, the Nosco Ride, whose mission is to provide financial relief to individuals and families facing severe hardships. Just to see his positivity and the impact he makes…. He’s a special guy….super positive…gives back a ton. He’ll go ride in the morning after a 24-hour shift and just be hammering after being up all night. But I’m getting much better. I don’t think I’ve ever had a long, super deep, depressive state, though. And some of it is just realizing that it’s short, man. Life. It’s all so short. But I’m seeing the beauty in everything. I love my life now more than ever. To learn more about what Zabriskie is up to, head to floydsofleadville.com and www.dznuthouse.com.